bSix12 – Do what makes you happy! » Mona Lisa: Why Is She Smiling? The Mona Lisa by Leonardo da Vinci is without a doubt the most famous work in the entire forty-thousand-year history of the visual arts. It is the enigmatic smile that has fascinated and baffled art lovers for centuries. 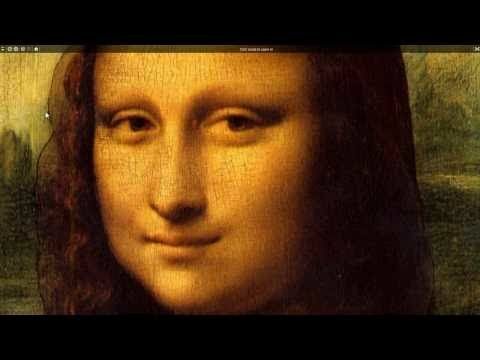 With a combination of state of the art mind reading technology and sophisticated computer algorithms I was able to reveal one of the biggest secrets in history:﻿ Why is Mona Lisa smiling? Note: Silverlight is required. Switch to full screen (top right button) for optimal experience. PS: Not all hidden secrets are linked in the top left menu. It’s up to you to discover some of the most sacred artifacts hidden in this painting! How can it be? the artist couldnt have painted his own reflection couldnt he and I see an image placed digitally instead.. SO WHAT DO THE IMAGES STAND FOR? DOES IT MEAN WE HAD ADVANCED TECH EVEN IN CAVE MAN TIMES? WHATS WITH LISA FROM SIMPSONS? AND THE REST OF THE IMAGES? I don’t know if this is known, but Mona Lisa’s hands are resting on some gray pillar. I feel as if she’s on some high land, in a super view place, some church somewhere. There are two pillar-ic things on the sides, and looks as if there has been a sudden landslide or the left must have been a cliff, parallel to some hill Mona was on. The other part must have been normal ground. The landslide or cliff-height must have been blocked by Mona. Anybody has an idea where this is?